Sunny Valley is located 14 miles north of Grants Pass, Oregon. This beautiful little community is straight out of a story book. Surrounded by mountains, the sun always shines on the meadows and creeks, thus the name Sunny Valley. On one side of the Freeway is Placer Road and the other side is Leland Road, the two main areas of Sunny Valley. 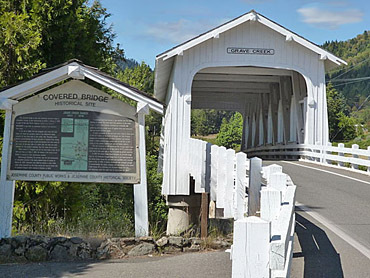 Grave Creek Covered Bridge (pictured), is one of the few covered bridges that remain in southern Oregon. From Vancouver B.C. to the Mexican border, it is the only one visible from the I-5 freeway. Be sure to visit the Applegate Trail Interpretive Center while in Sunny Valley. It provides a first hand look into the local area, history, fabulous displays, theatre & more. In the fall of 1846, the first emigrant train from Fort Hall, Idaho, to travel the southern route to the Willamette Valley camped on the north side of this creek, then Woodpile Creek. Martha Leland Crowley, 16 years old died of typhoid fever during this encampment and was buried 150 feet north of the creek on the east side or a white oak tree that was later removed for the present roadway, thus the name "Grave Creek". When James H. Twogood laid out his land claim in the fall of 1851 and filed it on May 1st 1852, he named it the Grave Creek Ranch in memory of that unfortunate incident. McDonough Harkness, his partner, was the first postmaster of Josephine County in the newly named town of Leland on March 28,1855. Harkness was killed by the Indians in April 1856 while riding dispatch for the Army during the second Indian War of southern Oregon which started in October of 1855. A stockade was built around a log wayside and the hotel building at Leland. 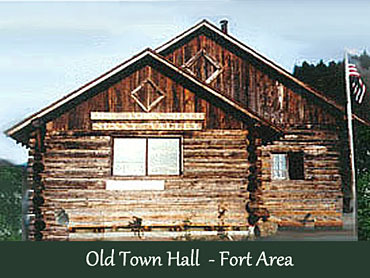 The small town was the gateway to the lower Rogue country where Indians retreated so it became the gathering point of a large force of regular army and volunteers and was known as Fort Leland. A major encounter of the war took place some 8 miles west of the Fort known as the Battle of Hungry Hill. This ill-fated engagement produced some 37 dead, wounded and missing. Some of these soldiers were buried north of the Fort at the corner of the present Leland road and old Pacific highway. The last remnants of old Leland are the three large maple trees to the north on the east side of the road and the Ft. Leland rock-lined well on the west side of the road both on private property. 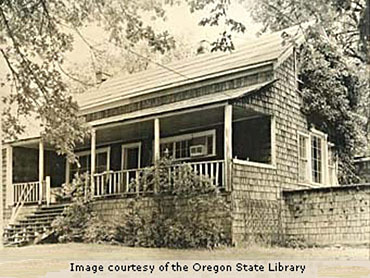 In 1860 the Grave Creek Ranch became an overland stage stop for the California Oregon Stage Line. A new hotel known as the Grave Creek House #2 was built and operated until it burned down in December of 1875. A nearby farmhouse was enlarged enough to accommodate the stage company and was known as the Grave Creek House #3 or Harkness Inn. President Hayes, his wife and entourage spent the night here on September 28,1880. Throughout the years the Grave Creek watershed was home to hundreds of gold miners. Many millions of dollars worth of gold came out of this area. So when you are driving by stop and visit this historical area. 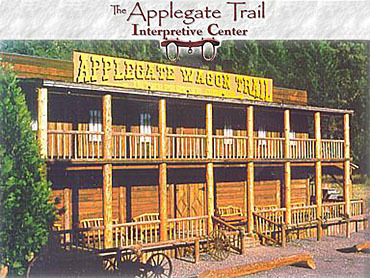 See Our Attractions Section to access the Applegate Trail Center-Museum.